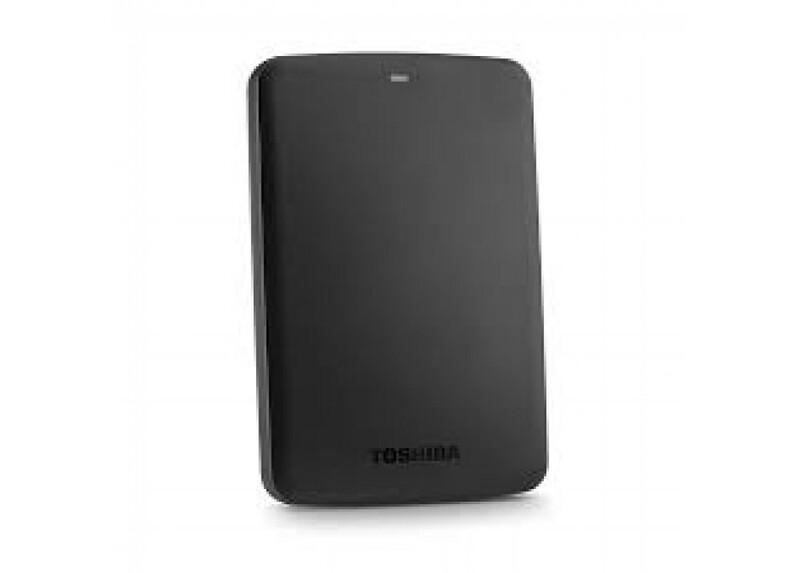 General :Easy to Use :- Discover one of the easiest ways to add storage to your computer with Toshib..
- Discover one of the easiest ways to add storage to your computer with Toshiba's Canvio Basics portable hard drive, offering simple plug-and-play operation . - Ready to use with your PC (3) and no software installation required. Intuitively drag and drop files to and from your PC or laptop . - Canvio Basics offers the space to collect in a size you can take anywhere. 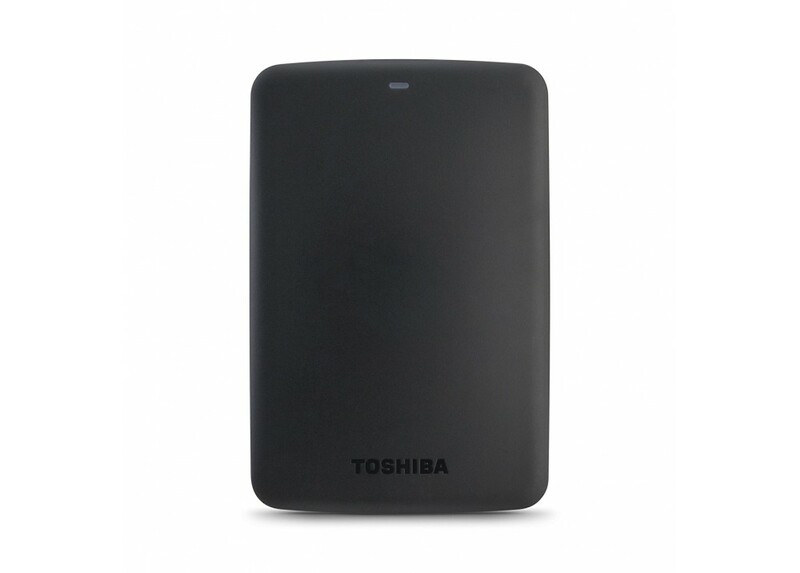 Introducing a new sleek, matte-black design that is more compact than ever, the Canvio Basics is a true portable hard drive - easy to carry and store in any pocket or bag . - The Canvio Basics is built to Toshiba’s world-class quality standards, offering time-tested reliability and comes with a 1-year standard limited warranty (2), so you can feel confident and collect at ease . - Interface : USB 3.0 . - Sleek profile design with a matte, smudge-resistance finish . - Plug & Play - Easy to use with no software to install . 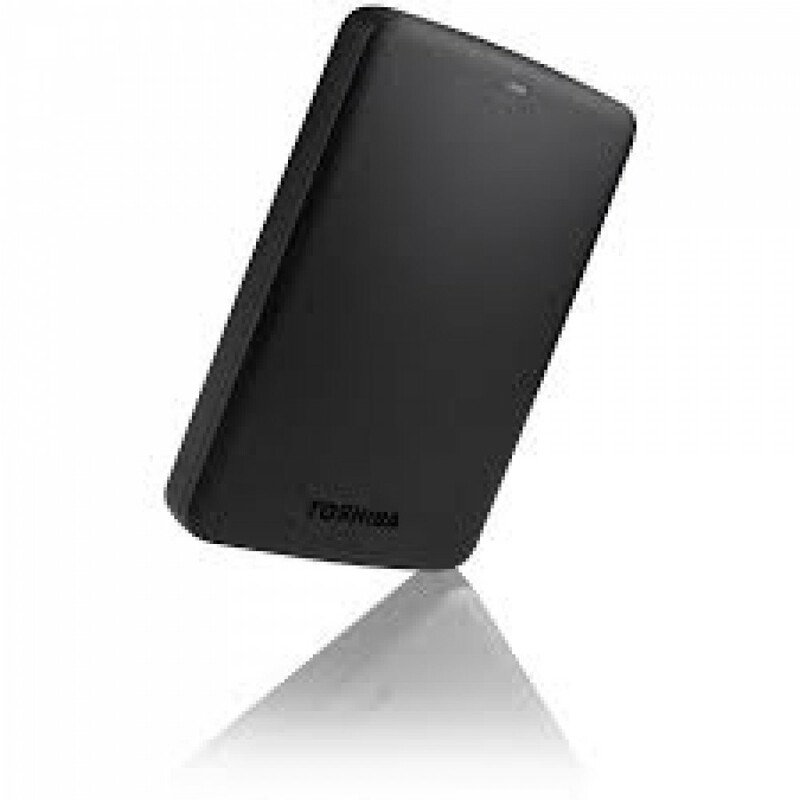 - Quickly add more storage capacity to your PC and other compatible devices . - USB 3.0 and USB 2.0 compatible with no external AC power cord needed . - Pre-formatted NTFS for Windows PC (reformatting required for Mac computers) . - Formatted NTFS for Microsoft Windows 10, Windows 8.1, Windows 7 . - Requires reformatting for Mac OS v10.12 /OS X v10.11 / v10.10 . - Available USB 2.0 or USB 3.0 Port . - Dimensions : 13.97 mm x 78.74 mm x 109.22 mm . - Weight : 150.25 g .